After 30 years of service to the public, the last 14 of these with Regis Medical Centre and then Your Health Partnership, Dr Jo Lennie is finally hanging up her stethoscope and retiring from practice at the end of March. Jo joined the practice in 2007 and quickly established herself as a well-respected member of the team and a patient and caring doctor; even if that meant not running strictly to time! 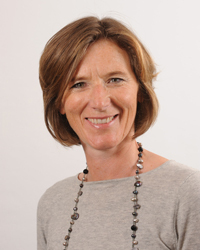 In later years Jo was integral to the development of Your Health Partnership taking a lead role in HR and becoming a strong voice in shaping our organisational values. She is an excellent role-model and will be missed by all. We’re sure you will join us in wishing her all the very best for the future.